Just bought a 360 camera? Curious to know how to shoot the best 360 video possible? I’ve been shooting with 360 cameras for the past two years and I’ve owned over 8 separate cameras. 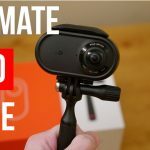 Shooting in 360 is not the same as shooting normal video, and there are a few tricks I’ve learned that make the process a lot easier and can drastically improve the quality of your video. 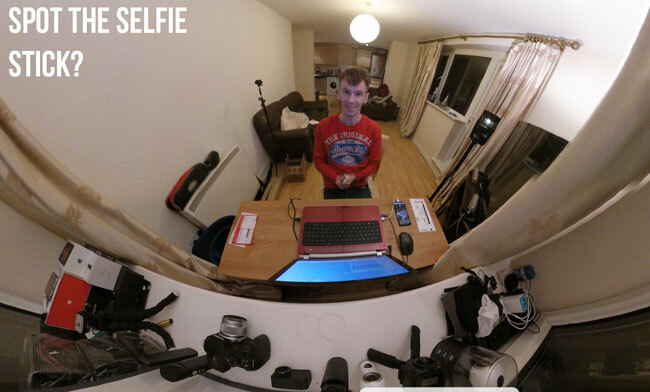 So let’s get to it, here are my 8 tips for shooting better 360 video (most of these also apply to shooting photos). The best tripod for 360 cameras. Before you even start, you’re going to want to ensure you are using a fast microSD card. By fast I mean a high write speed of 90mbps or more. 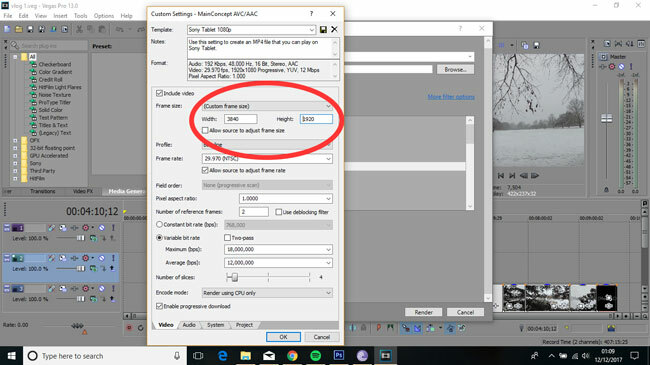 This is important because most 360 camera record at a huge 4K resolution or above and most SD cards won’t be able to write such large files, causing your camera to stop recording after a few seconds. 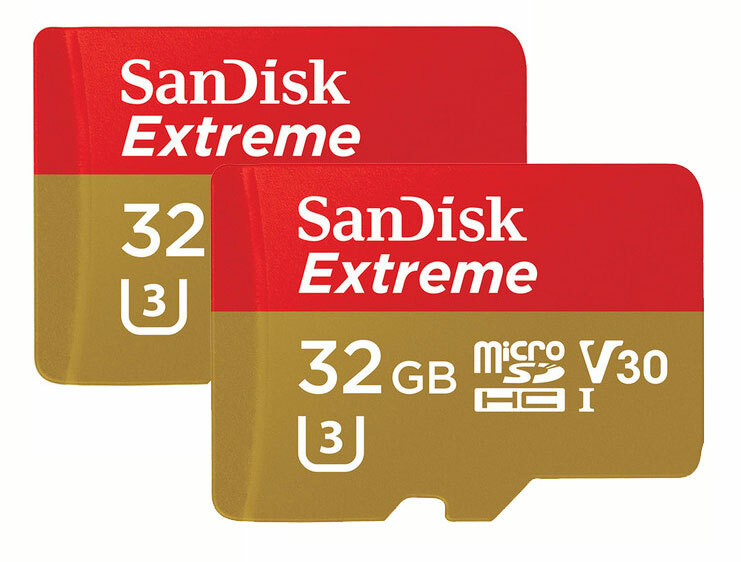 I recommend the Sandisk Extreme, which has worked reliably on every 360 camera I’ve owned. Any MicroSD with a transfer speed of 95mbps or above should also work with all 360 cameras. Want to completely hide your selfie stick and make it seem as if your 360 camera is floating in mid air? All you need to do is to move your camera into the position in this picture. 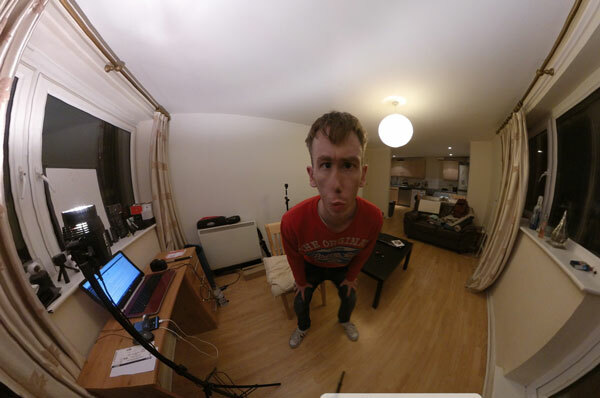 This may seem unusual, as neither lens is pointed at the person, but remember that recording in 360 degrees means you are always in view of the camera regardless of where the lenses are pointed. The stabilization feature in the camera means that the video will be level even in this position. 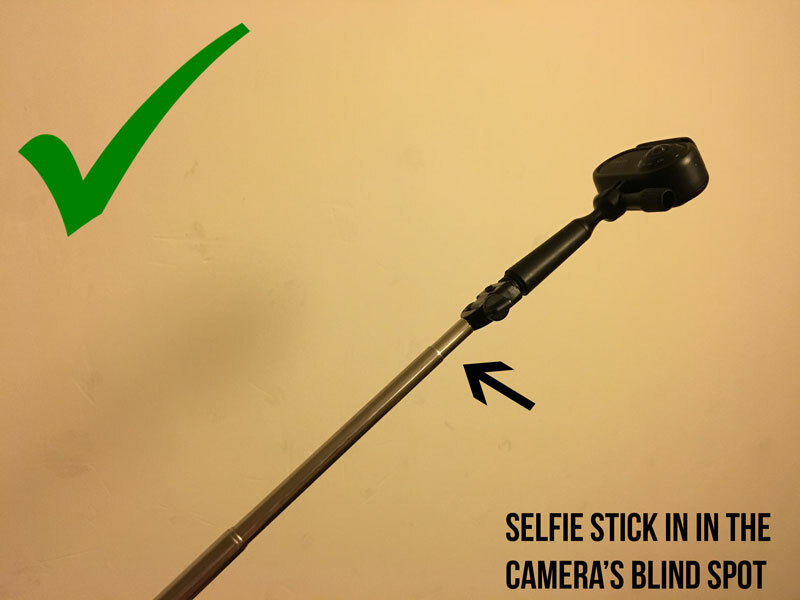 Using your camera like this will ensure that the selfie stick is within the small blind spot of the lenses. Want both hands free while you shoot your 360 video? All of you need to to is to attach your 360 camera to a slim selfie stick and place it in your pocket. This works better in smaller pockets or tight fitting clothing that will hold the selfie stick in place. 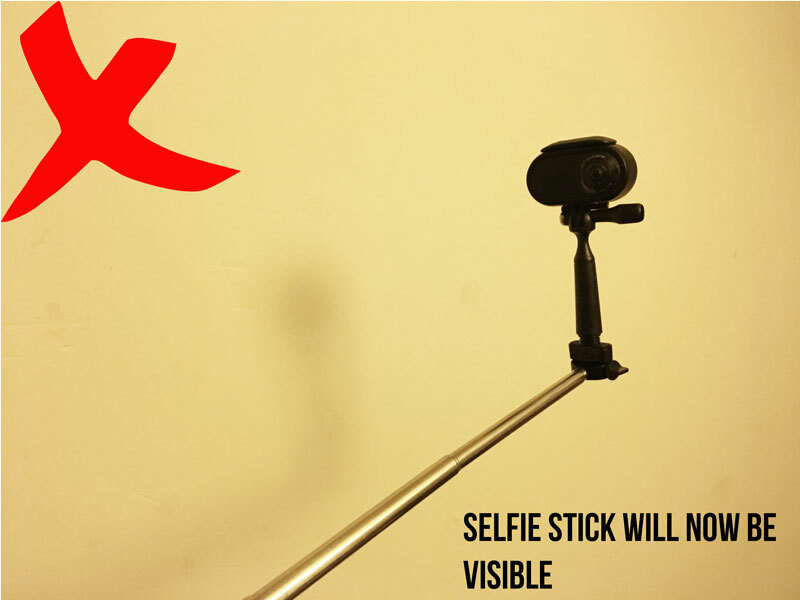 This method will also render the selfie stick invisible. 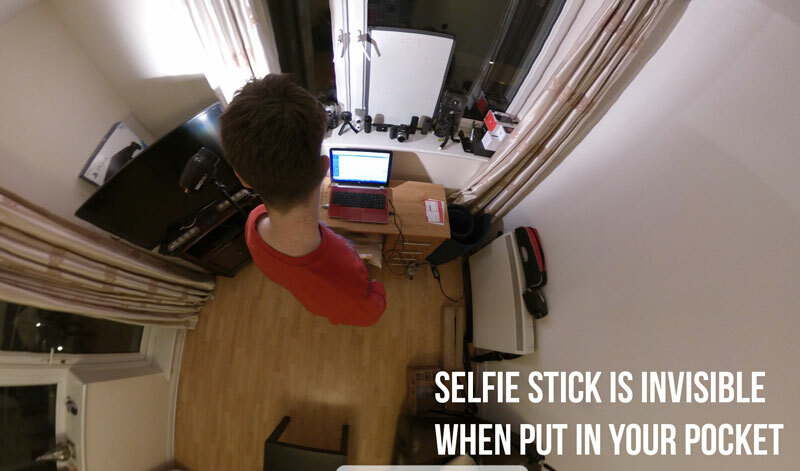 Increase the length of the selfie stick to make it seem like the camera is hovering over your head. If you want to shoot a static 360 video, use a light stand instead of a tripod. 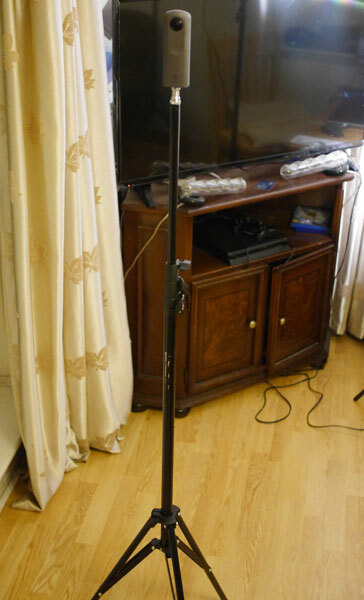 Light stands, like the one shown in the below image, are perfect for shooting in 360 because they have no parts sticking out near the base of the camera that would become visible in the video. 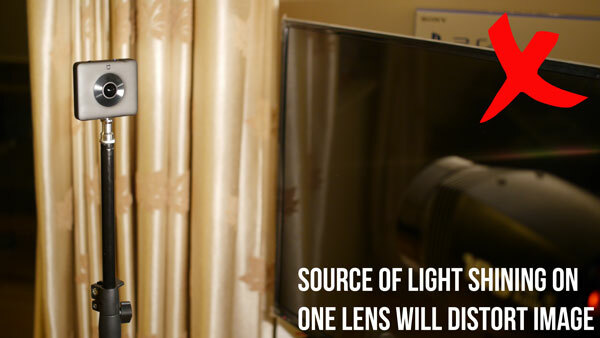 The slenderness of light stands means they are nearly invisible but still provide a sturdy base to place your camera. All 360 camera have at least 2 large lenses that bulge out from the camera body, and you’d be surprised how easy it is to get your finger smudges all over them. 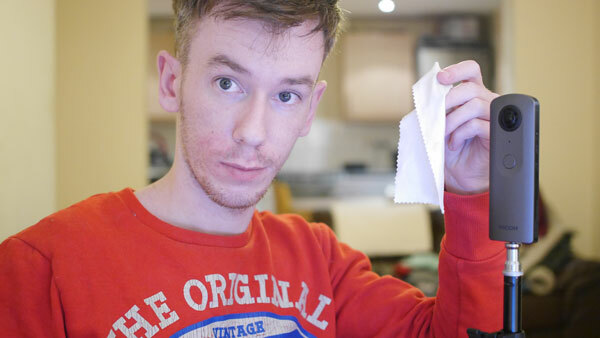 I’ve learned the hard way that not cleaning your lenses often leads to ruined video. Even a slight smudge can cause blurry and unusable footage, so every time you handle your camera, clear it with a cloth or at a last resort the sleeve of your shirt. Thankfully most 360 cameras come with their own lens cloth. There is no reason to have objects closer than 2ft from your 360 camera. The nature of 360 video means that anything close to your camera will appear distorted and cut in half. The distance at which this occurs largely depends on the exact camera you use, but to be on the save side I’d keep any objects or people at least a few feet away from the lenses. 360 video means the viewer can look anywhere at any time, but the starting point is the most important. Find the most interesting point in the environment you are shooting and make sure the front lens is pointed right towards it, this will ensure the video starts with this as the focal point. You can edit the starting position in a few programs, but this will at least save you some time. One of the first things you should do when shooting 360 video is work out where the light is coming from, the make sure neither of the lenses are pointed right at it. If one lens is pointed directly at the main source of light and the other is therefore pointed furthest from it, the resulting 360 video is much more likely to have an obvious seam line where the images from both lenses meet. To avoid this, make sure (as much as possible) that the main source of light is pointed at the cross section between each lens. Almost all 360 cameras I’ve used have a dedicated app that enables a live connection to your camera to preview the image and change settings. This can be useful for setting up a shot, however keeping the camera connected to your phone for anything more than a few minutes is pretty pointless and a huge waste of battery. 360 cameras are not known for their long battery lives, so if you want to ensure you camera doesn’t run out of juice too fast, make sure you only connect it to your phone when you need to set up your shot or transfer some files. Itonly takes a few seconds to re-connect after all. 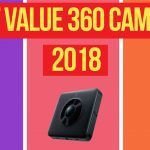 This one only applies to those using 360 cameras that can shoot 360 video at a higher resolution than 4K; these include the VIRB 360, GoPro Fusion and Yi360 VR. If you intend to upload your video to Facebook and YouTube, there isn’t really much point of doing so at higher than 4K resolution, because most people won’t be able to view it. A better option would be to take your 5K video and downscale it to 4K in an editing program like Premiere Pro or Vegas Pro. Dowscaling 5K to 4K will result in a much clearer image than just shooting in 4K because you are packing more pixels into the same space. The recommended resolution for 4K 360 video is 3840 x 1920, this is the standard 4K resolution for 360 video and will be recognized by Facebook and YouTube. You should also check the bit rate of your original video and render at a similar bit rate to avoid loss of quality. That’s it for now. I hope these basic tips help you to create some awesome 360 video, they should at least make it easier. If you have any further questions, feel free to join my private Facebook group where the community will be happy to help. If you want to know more about 360 cameras in general join my private 360 camera discussion group on Facebook, where I and the community will be happy to answer your questions.